Arthritis affects more than 54 million people in the U.S., is a leading cause of work-related disability, and has a direct medical cost of over 81 billion (1). As one of the most frequently diagnosed conditions it is also one of the most expensive, giving way to new treatments that are moving away from opioid drugs and, where legal, medical marijuana treatments that fight inflammation and repair the joint itself. If you or a loved one suffers from arthritis, here is scientific evidence in favor of utilizing medical marijuana to help fight joint inflammation and even put the condition in remission. In a study presented by the British Society for Rheumatology titled Expression of cannabinoid receptor 2 and its inhibitory effects on synovial fibroblasts in rheumatoid arthritis (2)?, researchers established a connection between extremely high levels of CB2 receptors in patients with arthritis. Other studies have expanded on the therapeutic benefits of cannabinoid-based drugs and their anti-inflammatory benefits. In a study conducted by the Department of Medical Microbiology and Immunology, University of South Florida College of Medicine, the authors concluded that “a wealth of information indicates that these drugs have immunosuppressive and anti-inflammatory properties” and that they are useful for chronic inflammatory diseases (3). A 2007 study targeted on determining the effectiveness of cannabinoid medications on arthritic knees also showed promising results for the use of medical marijuana for arthritis (4). In the lab, experimental osteoarthritis was induced in rats and knee rotation was recorded after the injections. To test the effects of medical cannabis, cannabinoids were applied locally and the joint movement was monitored again. 62% of the rats with induced osteoarthritis showed favorable results in response to the cannabinoid medication. In what was regarded as the first controlled trial of a cannabis-based medicine (CBM) for rheumatoid arthritis pain treatment, a study with 58 patients was conducted to see how patients responded to CBM (5). In the five weeks of treatment, 31 patients were given the CBM via oromucosal spray in the evening while the other 27 were given a placebo. The outcomes showcased statistically significant improvements in pain on movement, pain at rest, and quality of sleep while adverse effects were mild to moderate for those given the CBM. 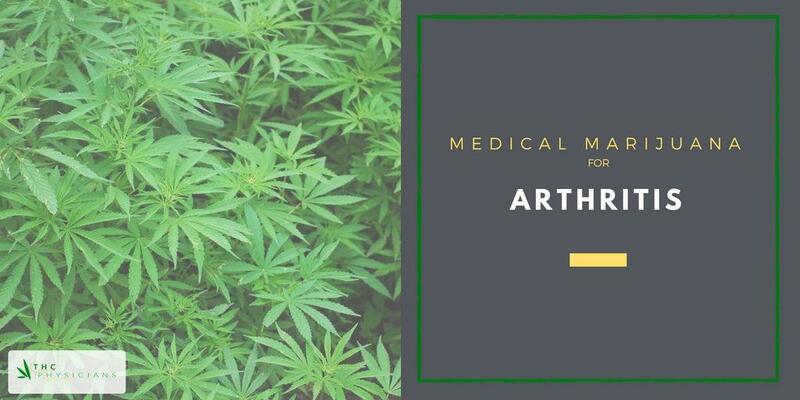 Of other interest is the soon to be published study funded by the Canadian Arthritis Society to determine if medical marijuana can help repair arthritis joints and relieve pain. Dr. Jason McDougall, a professor in the department of pharmacology and anesthesia at the Halifax university, is looking to show how cannabis molecules not only ease pain in the brain, but also work to control the firing of pain from the nerves in the joint. 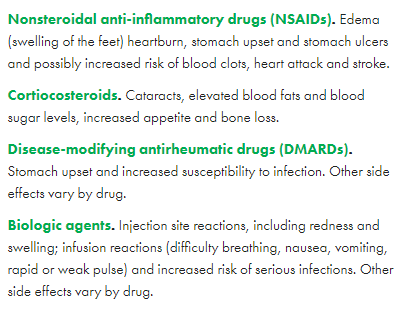 There is not much medical evidence opposed to medical marijuana for arthritis treatment, although one British Society for Rheumatology study mentions that out of 31 patients, some mentioned adverse events such as mild dizziness (8), lightheadedness (3), dry mouth (4), nausea (2), arthritic pains (1), constipation (1), drowsiness (1), fall (2), and headache (1). Arthritis refers to over 100 conditions that affect the joints, with the most common being osteoarthritis. Arthritis sufferers experience pain, aches, stiffness, and swelling in or around the joints. The CDC recommends physical activity along with maintaining a healthy weight to prevent and reduce the onset of arthritis. A commonly prescribed drug and one with loads of controversy due to its side effects and addictive traits, are opioids. It is for this reason new treatments such as medical cannabis are being given more attention. Patients with arthritis have shown positive results with the usage of medical marijuana. 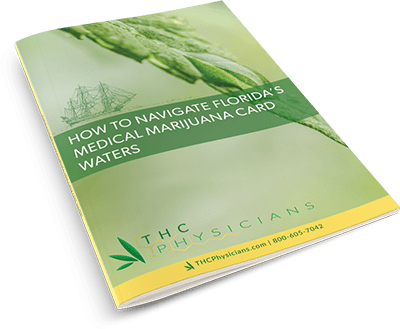 If you are interested in trying medical marijuana for arthritis or are inquiring for a loved one, you should first seek out your state laws to determine the legality of the drug in your state, the types of medicine you can use, where to get it, and how much you need.